An INCH or less of snow already covering the highways around Atlanta. That part of Georgia is spinning its wheels in bumper-to-bumper traffic, verging on total gridlock in below freezing temps. Waiting for the freezing rain along the South Carolina coast. So it goes. Here in Maryland, in the suburbs north of Washington, we had such a modest goal for today. 20 degrees. Is that too much to ask? Nope, not going to see 20 today. But Maryland might see snow flurries tonite. What did we do to make Canada mad at US? Picking up where we left off last week, we have another Alberta Clipper attacking from the north. 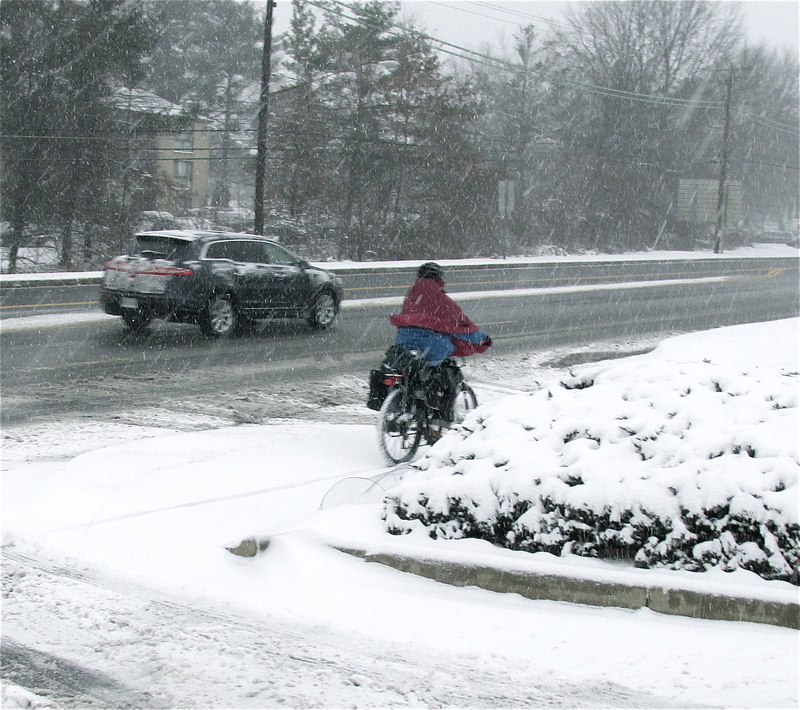 Last Tuesday and Wednesday, Winter Storm Janus thrashed the MidAtlantic and New England. This week it’s Winter Storm Leon, and he’s planning to march through the South. It might be the worst disaster to hit Georgia since Gen. Sherman’s March to the Sea in 1864. 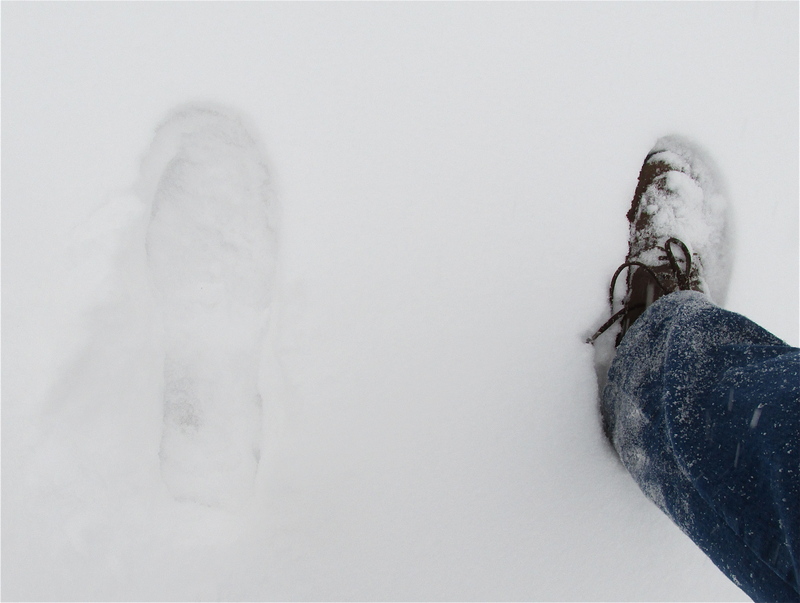 The snow is getting deeper, and the temperature is falling fast. Wind gusts are picking up. If I had to choose between the snow and the temperature, I’d say the unusually frigid temperatures are the bigger and more dangerous part of the story. Winter Storm Janus closed government offices in Washington on Tuesday, and schools throughout the metro region. By late afternoon, nearly everything was shut down and traffic was light. Snow blowing sideways early afternoon in Gaithersburg, MD, in the suburbs north of Washington. No more than 2 inches accumulation here so far, but we’re still in the early part of Janus. Winds 15-25 mph, temp 28, going down to 18 before the afternoon is over. That’s more than 30 degrees colder than 24 hours ago. The city of Washington might get less snow than expected, but it is snowing there now. 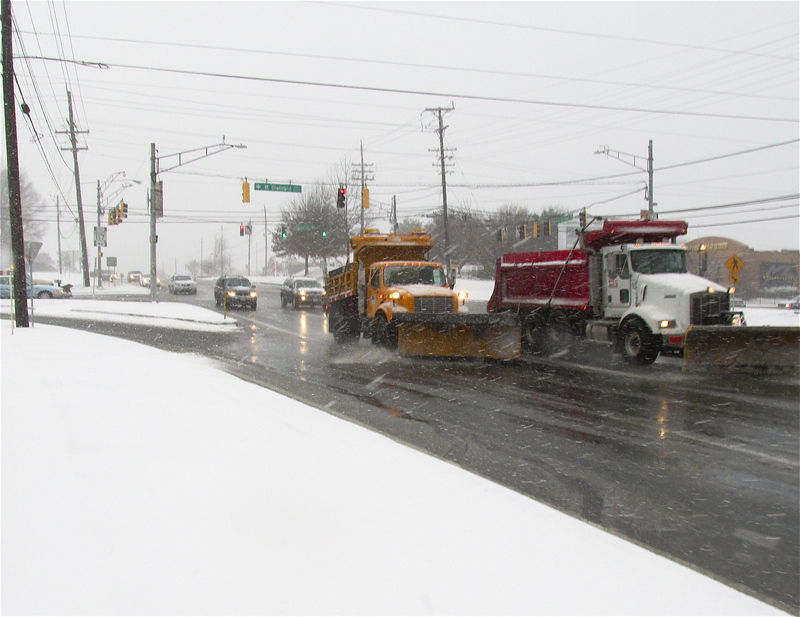 Forecasters still calling for 4-8 inches of snow throughout Central Maryland and Northern Virginia. But they’re now predicting 8-12 inches from Baltimore north to NYC. Heaviest snow in MidAtlantic might be in a narrow belt from Philadelphia across New Jersey and into NYC, and definitely Long Island. Janus is almost upon us, and it’s looking like the big storm of Winter 2014. At least, I hope we don’t get one bigger than this. Tuesday will be an interesting day for the MidAtlantic states. By the time Janus is finished on Wednesday, the most heavily populated region of the U.S. will be snow-covered, with millions of people affected. Snow from at least as far south as Richmond, maybe even North Carolina, to north of Boston.